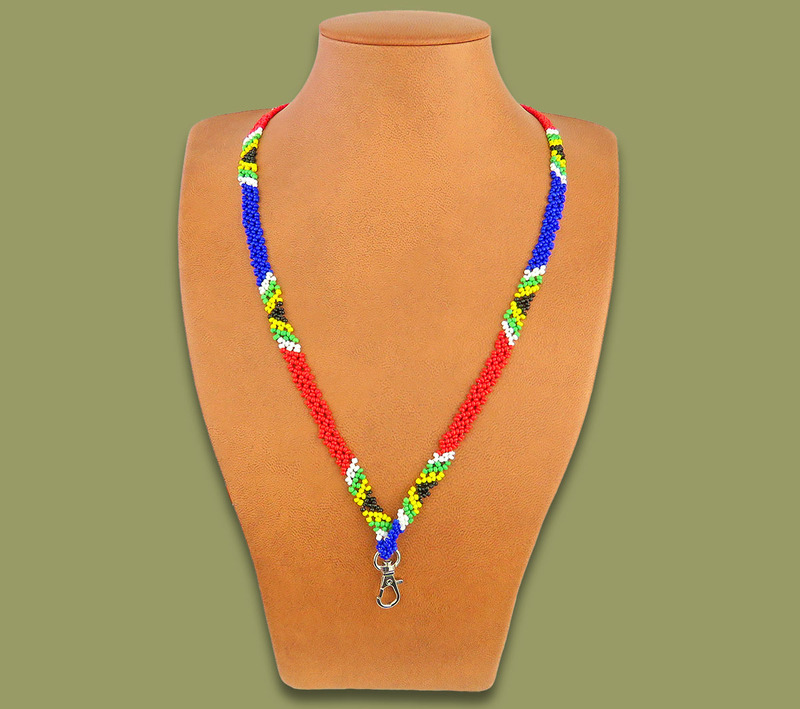 Beaded SA Flag Lanyards Thin, also available in a wider version. Handmade in South Africa. If you require the plastic lanyard pouch please order this separately. All our lanyards can be custom made to incorporate company colors. The below quoted dimensions will be for a minimum length of 80 cm however you may receive lanyards of a greater length due to the nature of African rural handmade products. DIMENSIONS: 80CM X 0.9 CM. PLEASE REGISTER AS A WHOLESALE BUYER FOR BULK DISCOUNTS.